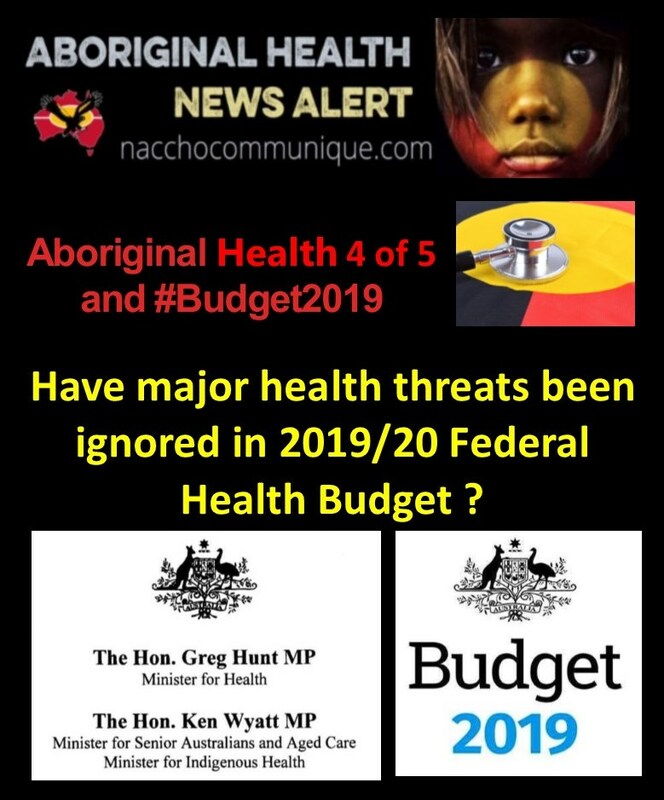 NACCHO Aboriginal #AusVotesHealth and #Budget2019 4 of 5 : Press Release from Ministers @GregHuntMP @KenWyattMP : But have the major health threats been ignored in this 2019/20 Federal Health Budget ? “Prime Minister Scott Morrison may be ‘Back in Black’ but his 2019/20 Health Budget is unlikely to make him number one with the health sector. While there are a few new numbers in the Budget’s hit parade, the bulk of the spending initiatives are a hackneyed playlist of old tunes that fail to deliver the reforms called for repeatedly by health groups and experts. Warning bells are sounding all over the health sector – increased obesity levels, the health threats of climate change and record rates of chronic disease – yet the current government doesn’t appear to be listening. Our health system already can’t cope with current levels of demand and there is little in tonight’s Budget that will relieve this pressure. Ignoring the calls from experts and health groups for a re-orienting of our health system away from acute care towards prevention and public health, this Budget provides a suite of short-term measures which barely deal with the symptoms of an ailing system, let alone address their underlying causes. Doctors will get more funding to help older Australians manage chronic illness, mental healthcare providers will be able to reach more people in need, and researchers will benefit from a 10-year grants program. In its $104 billion health budget, the Morrison government has made targeted investments in Medicare, but also brought forward the restoration of indexation for 176 GP items to July 1. Thawing that aspect of the Medicare freeze six months early will cost $187.2 million, but comes as the Coalition faces calls from health groups for higher rebates and the prospect of another Labor ­“Mediscare” campaign. While the government has yet to decide the fate of the healthcare homes initiative, or respond to primary care proposals from its Medicare review, it has allocated $201.5m more for practice incentive payments. Its most promising, yet underdeveloped, primary care announcement in the budget involves $448.5m over three years for a new model of funding chronic disease care. The approach, to be introduced in July 2020, will allow GPs to enter into agreements with patients over 70 and be given more personalised, co-ordinated care funded through Medicare. The details will be subject to further consultation. 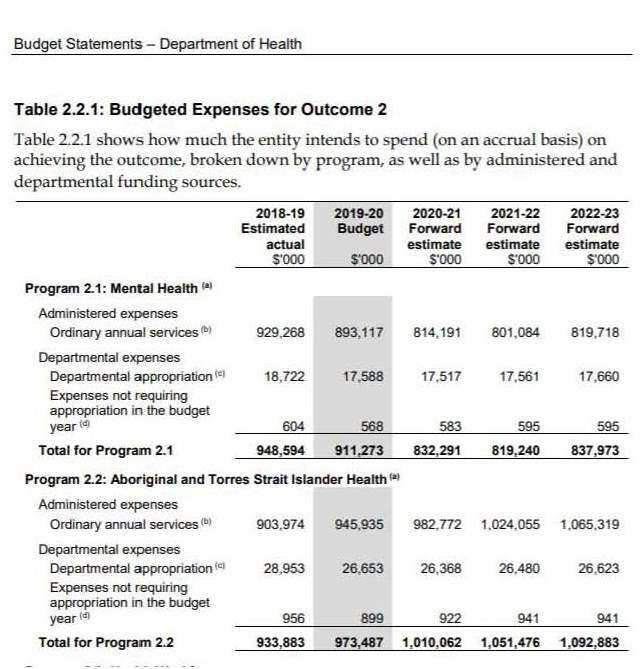 With Australia’s rising suicide rate, and continued concern over the comparatively high number of deaths in indigenous communities, the government has also allocated $736.6m to improve the nation’s mental health resources. This will include 30 more headspace centres — most expected to be announced during the election campaign — to take the total number funded by the commonwealth to 145 by 2021, at an ongoing cost of $120m a year. There was funding for a further 23 MRI machines — taking the total to 53 — and continued investment in drug subsidies as recommended by a committee of experts. With the Medical Research ­Future Fund to achieve its $20bn balance in 2020-21, the government has outlined a $5bn, 10-year funding plan, while maintaining its $3.5bn commitment to the ­National Health and Medical ­Research Council. The $5bn will come from MRFF distributions, established using savings from health cuts in the 2014 budget. Health Minister Greg Hunt has already announced research ‘‘missions’’ into brain cancer, mental health, genomics, ageing, aged care and dementia, indigenous health, stem cells, cardiovascular disease and traumatic brain injury. Another $1.2bn will be dedicated to translation and commercialis­ation, taking ideas from the laboratory to hospital bedsides, while new institutes will also be funded. Any perceptions of interference in the grants program will be addressed by the creation of a Health and Medical Research Office for the MRFF, at a cost of $20m over four years, although the NHMRC will have a small reduction in its budget next year. The government has factored in the states agreeing to its public hospital funding proposal, even though Victoria and Queensland are holding out. The ­Coalition will continue to announce projects to benefit from its $1.25bn community health and hospitals program ahead of the election. 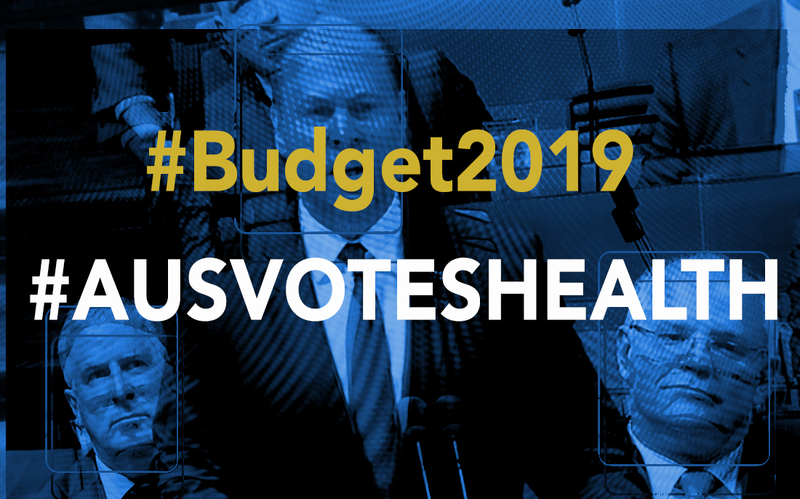 Federal Treasurer, Josh Frydenberg, delivered his first Australian Government Budget on Tuesday evening, 2 April 2019. The following links provide information on the Budget and its implications for Aboriginal and Torres Strait Islander health. $435 billion over the next four years. It guarantees Medicare, makes a range of life-saving medicines and services more accessible and affordable, reduces out-of-pocket costs, strengthens primary care and mental health and invests in breakthrough medical research. The Budget consolidates and continues our health reform agenda. It reinforces the four pillars of our long term national health plan — guaranteeing Medicare and improving access to medicines, supporting our hospitals, prioritising mental health and preventive health and investing in health and medical research. We are increasing Medicare funding by $6 billion, up from $19.5 billion in 2012—13, to $24.9 billion in 2018—19, to $30.7 billion in 2022—23. The Medicare Guarantee Fund, established in 2017—18, allocates $36.6 billion in guaranteed funds for spending on the Medicare Benefits Schedule (MBS) and the Pharmaceutical Benefits Scheme (PBS) in 2019-20. Government supports all the recommendations of, and will implement the first stage of our response to, the report of the Ministerial Advisory Committee on Out-of-Pocket Costs. Improving Indigenous health remains a key target of our refreshed Closing the Gap framework. Funding is boosted to $4.1 billion from 2019—20 to 2022—23 and more than $10 billion over a decade. $448.5 million in increased funding to deliver a new population based funding approach to support GPs to provide enhanced care and services, initially focussing on Australians over 70 years. Australians over the age of 70 will be able to voluntarily enter into an agreement with their general practiioner, and receive more personalised, coordinated care, with usual services continuing to be rebatable for the patient under Medicare. GPs and others in their practice will be able to provide consultations, referrals, scripts and test results remotely — without seeing patients face-to-face. This will make it easier and more convenient for people to access timely care and medical advice. Our investment complements and strengthens Medicare. Doctors will be further supported by a $201.5 million boost for the Practice Incentives Program Quality Improvement Initiative, including retention of the Aged Care Access Incentive, and $187.2 million to increase rebates for 176 GP services from I July 2019. We will further tackle the ever increasing burden of chronic disease through our Public Health and Chronic Disease program. Funding of $17.2 million over five years will develop several national strategic action plans aimed at improving the lives of Australians living with chronic conditions — specifically, osteoporosis, kidney health, rare diseases, heart disease and stroke, and children’s health. We will also provide a new heart health check under Medicare to better address cardiovascular disease. Eligible Australian children will continue to be able to access basic dental services and claim up to $1 ,000 in benefits under the Child Dental Benefits Schedule, with the Government investing over $1.0 billion for the next three years from 1 January 2020. The Liberal National Government has provisioned $40 billion in the forward estimates for life-saving and life-changing medicines. We are averaging 31 new or amended listings per month — approximately one per day. From I May 2019, Ibrance@ will be available on the PBS for the treatment of inoperable advanced metastatic breast cancer. Patients will pay $6.50 or $40.30 for the drug. Without subsidy, they would pay $55,000 per year. From 1 May 2019, Bavencio will be available on the PBS for the treatment of metastatic merkel cell carcinoma, a rare and highly aggressive type of skin cancer. Without subsidy, they would pay $150,000 per year. From 1 May 2019, Besponsa@ will be available on the PBS for the freatment of acute lymphoblastic leukaemia. Without subsidy, they would pay $120,000 per year. Tagrisso@ is now available on the PBS for the treatment of lung cancer, which would otherwise cost patients $88,000 per course of treatment. Opdivo@ + Yervoy@ is now available on the PBS for the treatment of advanced renal cell carcinoma, which would otherwise cost patients $254,200 per course of treatment. Venclexta@ is now available on the PBS, in combination with rituximab for the treatment of adult patients with chronic lymphocytic leukaemia, which would otherwise cost patients around $165,000 per course of treatment. $13.3 billion in 2012-13, to $21.7 billion in 2018-19, to $26.2 billion in 2022-23. Immunotherapy at the Peter MacCallum Cancer Centre, Victoria; James Cook University — Cairns Tropical Enterprise Centre, Queensland; Repatriation Hospital — Brain and Spinal Centre, South Australia; improved health outcomes for individuals living with brain and spinal cord injuries in Queensland; Peel Health Campus, Western Australia; Ambulatory Care Centre, Alice Springs, Northern Territory; Canberra Hospital Intensive Care Unit, Australian Capital Territory; and North West Cancer Centre linear accelerator, North West Regional Hospital, Tasmania. The CHHP complements our record investment in public hospitals, which will more than double from $13.3 billion in 2012—13 to $29.1 billion in 2024—25. Our new five year National Health Reform Agreement will deliver more than $30 billion in additional public hospital funding from 2020—21 to 2024—25. $111 million to expand the headspace network by 30 — from the current 115 services to 145 by 2021, to enable more young people to access support. Our Government is also dedicated to supporting the mental health of adults around the country in order to promote wellbeing and prevent suicides. To improve how people access care, and the quality of services, we will deliver a trial of adult mental health centres in eight locations nationally, at a cost of $115 million. These will provide walk-in, coordinated care and advice for anyone with concerns, and will address what is seen by many as a missing gap in the health system. We will improve perinatal mental health services by providing $43.9 million to support Australians affected by perinatal mental illness during or after pregnancy, or experiencing grief after the death of an infant. By investing $11.5 million in a National Mental Health Workplace Initiative we will support businesses — from sole traders to multinationals — and workers to create a mentally healthy workplace, giving workers the opportunity to maintain the best possible mental health and wellbeing. The Government is ensuring record funding of $6 billion over the forward estimates for medical research, with $3.5 billion for the National Health and Medical Research Council, $0.5 billion for the Biotechnology Translation Fund, and $2.3 billion for the MRFF — up from $222 million in 2018-19 to $650 million in 2022-23. Global Health – Tackling Antimicrobial Resistance and Drug Resistant Tuberculosis – a further $23.0 million for a total of $28.4 million. Industry Researcher Exchange and Training – existing allocation of $32.0 million; and Clinical Researchers – a further $114.6 million for a total of $190.8 million. Cardiovascular Mission – a new investment of $220.0 million; and Traumatic Brain Injury – a new investment of $50.0 million. Preventive and Public Health Research – a further $60.0 million for a total of $260.4 million. National Critical Infrastructure – a new investment of $605.0 million; and Data Infrastructure – focus on registries, biobanks & linkage platforms – a new investment of $80.0 million. We have increased funding for aged care by $7 billion over the forward estimates, up from $13.3 billion in 2012-13 to $20.5 billion in 2018-19 to $25.4 billion in 2022-23. We have increased the number of home care packages from 60,308 in 2012—13 to 124,032 in 2018—19 and 157,154 in 2022—23 as part of our ongoing response to senior Australians’ clear preference to receive aged care in their own homes and live independently for longer. With the rapid growth in home care, the Government is providing $5.6 million to strengthen compliance to tackle the risk of poor quality service and fraud. The Aged Care Quality and Safety Commission — Australia’s new cop on the aged care beat — will have a key role, including increasing home care audits. 30 June 2022, representing an investment of $5.9 billion. This will give certainty to around 1500 organisations, such as meals-on-wheels, supporting almost one million older Australians as they age and start to require assistance while still living in their own home. In residential aged care, the Government has invested $320 million in 2018—19 as a one-off increase to the general subsidy through to 30 June 2020. This will support the increase in residential places from 186,000 in 2012-13 to 212,000 in 2018-19 to 243,000 in 2022-23. We will also work to significantly improve monitoring and reporting of serious incidents involving residents, including incidents involving physical or chemical restraint. The Coalition Government has delivered a stronger economy that ensures we can make record investments in services and opportunities for First Australians. 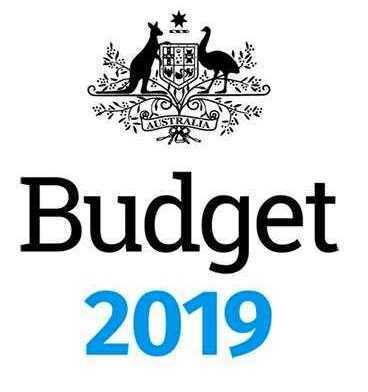 The 2019-20 Budget includes measures across many Departments that delivers record investments into health, safety, education and employment for Aboriginal and Torres Strait Islander people. For the first time in a decade the budget will be back in surplus and we are investing the dividends of our strong budget management to make lives better for First Australians. “This Budget focusses on empowering communities and through job creation, through education and by continuing to deliver the services that keep communities safe, healthy and culturally prosperous. The budget continues the Coalition Government’s efforts to invest in Aboriginal and Torres Strait Islander organisations to deliver services for their communities. Since coming to government we have doubled the number of Aboriginal and Torres Strait Islander service providers from 30 per cent to 60 per cent. The continued investment of $5.2 billion in the Indigenous Advancement Strategy (IAS). An additional $5.3 billion to support more than 224,000 Aboriginal or Torres Strait Islander students through the Indigenous loading component of our schools funding package (to 2029). 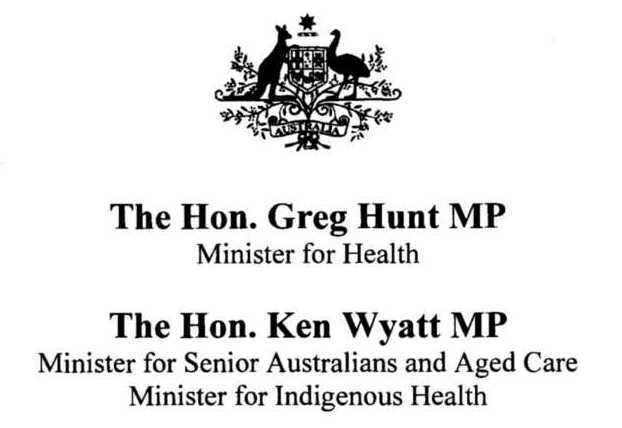 $1 billion for Indigenous health through the Department of Health. $37.5 million to support better housing for residents of remote Indigenous communities in South Australia. $276.5 million for the Indigenous Youth Education Package to give more Indigenous students the support and mentoring they need through their secondary studies. $35 million to support initiatives to address drivers of violence under the Fourth Action Plan of the National Plan to Reduce Violence against Women and their Children 2010-2022. $2.5 million for the eSafety Commissioner as part of the Fourth Action Plan of the National Action Plan to Reduce Violence Against Women and their Children.The eSafety Commissioner will work with and assist Aboriginal and Torres Strait Islander women in communities across Australia to identify, report and protect themselves and their children form technology-facilitated abuse. $5 million towards regionally specific Indigenous Suicide Prevention Initiatives that are tailored to the needs of each community and led by local Indigenous Youth leaders. $35 million contribution to support securing tourism and jobs in Kakadu in Jabiru. $7.3 million to undertake a co-design process with Aboriginal and Torres Strait Islander Australians to detail options for Constitutional Recognition and a Voice to Parliament. $62.4 million over four years under the Skills Package to support participation in the labour market with VET,language, literacy, numeracy, and digital literacy skills assistance in remote communities. $36.4 million over five years for extending the Family Tax Benefit to families of ABSTUDY recipients aged 16 and over who study away from home. A $45.4 million commitment by the Commonwealth over four years for the Barkly Regional Deal to deliver a suite of short, medium and long-term initiatives to support economic and social development in the Barkly region. Regional deals in Hinkler, Albury/Wodonga and Adelaide will pursue opportunities for Indigenous Businesses and employment. Legal Assistance Package – annual increases to baseline funding for Legal Aid Commissions, Community Legal Centres and Aboriginal and Torres Strait Islander Legal Services with a single National Mechanism to be developed by the end of 2019. $5 million for getting kids to school through working community by community and school by school to invest in remote and very remote areas for projects that support and promote school attendance. The $5.2 billion Indigenous Advancement Strategy includes targeted programmes and activities to ensure that Aboriginal and Torres Strait Islander Australians can take advantage of the opportunities the economy is creating. The Indigenous Advancement Strategy delivers on the ground funding in partnership with communities, ensuring children are attending school, adults are in employment and communities are safe. The $200 million Indigenous Youth Education Package includes initiatives to support Aboriginal and Torres Strait Islander secondary school students. The package will fund additional secondary school scholarships and residential support for students who move away from home to study, and more student support through academy and mentoring projects. Additionally, the Government is supercharging growth in the Indigenous business sector by expanding the Indigenous Procurement Policy (IPP) by introducing a new 3 per cent value target for all Commonwealth contracts to be awarded to Indigenous business within the next decade. The IPP has resulted in more than $1.83 billion in contracts to more than 1,470 Indigenous companies since it was created in 2015. In contrast fewer than 30 Indigenous companies won a paltry $6.2 million worth of contracts across the Australian Government in the 2012-13 financial year. Through the Indigenous Business Sector Strategy we are already delivering the $90 million Indigenous Entrepreneurs Fund, $27 million for the Indigenous Entrepreneurs Capital Scheme, $55 million for the Business Development Assistance Program, $21 million for additional microfinance as well as a $20 million Performance Bond Facility. Through our commitments to housing, better services,reducing the incidents of family and domestic violence,empowering Aboriginal and Torres Strait Islander Australians, driving investment in the Indigenous businesses, all through deeper engagement and more local decision making, we are delivering a better future for First Australians.